CAUSE – $38,000 (second year of two-year grant) for Building Leadership and Organizing in Our Neighborhoods to empower immigrants and low-wage workers in Santa Barbara County through organizing, leadership development, civic participation, and advocacy. Cuyama Valley Family Resource Center – $20,000/yr. for two years for the Latino Community Organizing, Engagement & Leadership Initiative to empower new Latino leaders to address local community issue. Diversity Collective Ventura County – $10,000 to support the HIV/AIDS Community Advocacy program to mobilize LGBTQ residents to advocate for their health and social inclusion, and to encourage officials to improve services and resources. Families ACT! – $25,000 (second year of two-year grant) for Beds Not Cells, a community organizing campaign led by individuals and families dealing with mental health and substance use disorders to improve mental health services in the County jail and the community at large in Santa Barbara County. Future Leaders of America – $38,000 (second year of two-year grant) for core support of programs that develop Latino youth activists in Oxnard and Santa Barbara to impact the community through civic engagement and transform the lives of youth and families. Importa – $17,500 (second year of two-year grant) for an immigrant leadership program to train community members about immigration law and how to conduct outreach and assist fellow immigrants concerned about deportation, citizenship, and DACA for undocumented youth. Just Communities Central Coast – $38,000 (second year of two-year grant) for core support to work with educators and community groups in Santa Barbara and Ventura Counties to close the achievement gap, improve social and academic outcomes for all students, and foster language justice. Pacific Pride Foundation – $25,000 (second year of two-year grant) for LGBTQ Advocacy programs that train and support activists to change systems that perpetuate the oppression of LGBTQ residents of Santa Barbara County. Pesticide Action Network (Californians for Pesticide Reform) – $25,000 for Organizing to Reduce the Pesticide Threat in Ventura County, a collaborative project with CAUSE to build a local movement and political leadership to reduce pesticide exposure of farm workers and students in farming communities. Santa Barbara Bicycle Coalition – $24,000 (second year of two-year grant) for Connecting Our Community which organizes activists to bring safe bicycling infrastructure to the South Coast of Santa Barbara County. Santa Barbara Friends Meeting – $16,000 for Truth in Recruitment, an advocacy group that involves students, parents, veterans and community members in helping Santa Barbara County students understand the consequences of a military career and alternative options for academic and professional success. Transitions-Mental Health Association – $16,000 for the Lived Experience Advocacy Development program, which recruits and trains individuals with mental illness and engages them in advocacy in Lompoc and Santa Maria. Westminster Free Clinic – $27,000 of a two-year grant ($30,000 in Year 2) for SALUD (Students Advocating Life-Uplifting Decisions), to engage Latino youth in East Ventura County in advocating for educational equity, health equity, and to empower the Latino community to know their immigration rights. California Lutheran University – $15,000 for the Center for Nonprofit Leadership to provide operating support and scholarships for nonprofits to attend training programs. Fund for Santa Barbara – $25,000 for the Capacity Building Program which provides consulting services, training workshops, and other support to nonprofit organizations in Santa Barbara County. The ARC of Ventura County – $12,500 for The Co-Advocates of Ventura County and Project R: Rethink, Reconsider, Respect, which engage people with disabilities and develop their leadership skills to confront social inequities and implement systemic change. CAUSE – $35,000/year for two years for general operating support to build grassroots power to realize social, economic, and environmental justice in Ventura County. Coalition for Sustainable Transportation (COAST) – $15,000 for Walking &amp; Transit Needs of Working Families in the Eastside and Westside, to organize residents of Santa Barbara to advocate for pedestrian safety and improved bus service. Council on American-Islamic Relations – $15,000 for Civic Engagement and Youth programs to promote civic engagement, advocacy, and leadership within the American Muslim community in Santa Barbara and Ventura Counties. El Centrito Family Learning Centers – $25,000 for Padres Promotores de la and Asociación de Padres which cultivates parents as community leaders in Oxnard schools to achieve equitable access to educational opportunities. Food & Water Watch – $20,000 for two community organizers in Santa Barbara and Ventura Counties to mobilize residents and organizations concerned with fracking and similar oil and gas extraction practices. Future Leaders of America– $30,000 for youth leadership and advocacy programs to empower youth in the Santa Maria Valley to become more active leaders in their homes, schools, and communities. Little House by the Park – $25,000 for the Guadalupe Parent Academy, a parent-supported and inspired education project focused on improving community health, leadership development, wellbeing, and personal education to transform the community of Guadalupe through civic and educational engagement. La Hermandad Hank Lacayo Youth & Family Center – $25,000 for grassroots organizing and empowerment among working-class immigrants to advocate for immigrant rights in Ventura County and northern Santa Barbara County. Mixteco/Indigena Community Organizing Project – $35,000/yr. for two years for the Justicia Laboral project, to develop community leadership among indigenous Oaxacan farm workers who advocate for improved working conditions in Ventura County. One Step A La Vez – $25,000 for One Step Adelante, which empowers youth in Fillmore to expand the community’s voice for social change to address environmental issues, affordable housing, the needs of LGBTQ and undocumented youth, and to reduce school suspensions, expulsions, and youth incarceration. Organización en California de Líderes Campesinas – $15,000 to train farm worker women to develop solutions to address and prevent sexual violence in the workplace and launch a campaign to combat this problem in Ventura County. Peoples’ Self-Help Housing – $10,000 for the Community Building and Engagement program in Santa Barbara County to engage residents at the agency’s affordable housing complexes in leadership training and community change projects. Just Communities Central Coast – $24,750 for youth to attend the Community Leadership Institute, which prepares high school youth to be leaders for diversity and justice in their schools and communities. Leading from Within – $10,000 for Leading for Community Impact, a leadership development program for nonprofit leaders in North Santa Barbara County. The Abundant Table – $25,000 for Organizing to Reduce the Pesticide Threat in Ventura County, a collaborative project with CAUSE and Californians for Pesticide Reform to hire an organizing intern who would build a local movement and political leadership to reduce pesticide exposure of farm workers and students in farming communities. CAUSE – $38,000/year for two years for Building Leadership and Organizing in Our Neighborhoods to empower immigrants and low-wage workers in Santa Barbara County through organizing, leadership development, civic participation, and advocacy. Cuyama Valley Family Resource Center – $17,580 for the Latino Community Organizing, Engagement & Leadership Initiative, including a promotora training program, family engagement programs, and civic engagement workshops. Families ACT! – $25,000/year for two years for Beds Not Cells, a community organizing campaign led by individuals and families dealing with mental health and substance use disorders to improve mental health services in the County jail and the community at large in Santa Barbara County. Future Leaders of America – $38,000/year for two years for core support of programs that develop Latino youth activists in Oxnard and Santa Barbara to impact the community through civic engagement and transform the lives of youth and families. Importa Santa Barbara – $17,500/year for two years for an immigrant leadership program to train community members about immigration law and how to conduct outreach and assist fellow immigrants concerned about deportation, citizenship, and DACA for undocumented youth. Just Communities Central Coast – $38,000/year for two years for core support to work with educators and community groups in Santa Barbara and Ventura Counties to close the achievement gap, improve social and academic outcomes for all students, and foster language justice. Pacific Pride Foundation – $25,000/year for two years for LGBTQ Advocacy programs that train and support activists to change systems that perpetuate the oppression of LGBTQ residents of Santa Barbara County. Santa Barbara Bicycle Coalition – $24,000/year for two years for Connecting Our Community which organizes activists to bring safe bicycling infrastructure to the South Coast of Santa Barbara County. Westminster Free Clinic – $27,500 for SALUD (Students Advocating Life-Uplifting Decisions), a project to engage Latino youth in advocating for educational equity and a more supportive environment for Latino students at East Ventura County schools. Santa Barbara Friends Meeting – $10,000 for Truth in Recruitment, a youth advocacy group that involves students, parents, veterans and community members in helping students understand the consequences of a military career and their alternative options for academic and professional success at Santa Barbara County high schools. California Lutheran University – $15,000 for the Center for Nonprofit Leadership to provide operating support, scholarships for nonprofits to attend training programs, and a financial literacy and fiduciary oversight program, all benefiting nonprofit organizations in Ventura County. The ARC of Ventura County – $15,000 for The Co-Advocates of Ventura County and Project R: Rethink, Reconsider, Respect, which engage people with disabilities and develop their leadership skills to confront social inequities and implement systemic change. CAUSE – $40,000 for general operating support to build grassroots power to realize social, economic, and environmental justice in Ventura County. Central Coast Future Leaders – $30,000 for youth leadership programs to empower youth in North Santa Barbara County to become more active leaders in their homes, schools and communities. Coalition for Sustainable Transportation (COAST) – $15,000 for Eastside Walks, to organize residents of Santa Barbara to advocate for pedestrian safety and improved bus service; and $10,000 for community organizing coaching support. El Centrito Family Learning Centers – $34,500 for Padres Promotores de la Educación and Asociación de Padres, which cultivates community leaders who organize parents in Oxnard schools to achieve equitable access to educational opportunities. Food & Water Watch – $20,000 for community organizers in Santa Barbara and Ventura Counties to mobilize residents and organizations concerned with fracking and similar oil and gas extraction practices. Guadalupe Kids Come First Foundation – $31,500 for THRIVE Parent Academy, a parent-supported and inspired education project focused on improving community health, leadership development, wellbeing, and personal education to transform the community of Guadalupe through civic and educational engagement. La Hermandad Hank Lacayo Youth & Family Center – $25,000 for grassroots organizing and leadership training among working-class immigrants in Ventura County to promote social justice for immigrants. Mixteco/Indigena Community Organizing Project – $40,000 to develop community leadership among indigenous Oaxacan farm workers, youth, and other immigrants who work to achieve just working and living conditions and improved educational opportunities. One Step A La Vez – $30,000 for youth committees in Fillmore and Piru working to expand the community’s voice for social change to address transportation systems, needs of LGBTQ youth, affordable housing, and to reduce school suspensions, expulsions, and youth incarceration. Organización en California de Líderes Campesinas – $25,000 to train farm worker women to develop solutions to address and prevent sexual violence in the workplace and launch a campaign to combat this problem in Ventura County. Peoples’ Self-Help Housing – $21,500 for the Community Building and Engagement program in Santa Barbara County to engage residents at the agency’s affordable housing complexes in leadership training and community change projects. Transitions-Mental Health Association – $20,000 for Lived Experience Advocacy Development (LEAD), which engages people in Santa Maria and Lompoc who have experienced mental illness in political advocacy related to mental health issues. Just Communities Central Coast – $24,750 a year for two years for youth to attend the Community Leadership Institute, which prepares high school youth to be leaders for diversity and justice in their schools and communities. Alpha Resource Center of Santa Barbara – $11,000 for Leadership 2016, to train and organize individuals with developmental disabilities and their family members to engage in advocacy and activism on issues that affect them. CAUSE – $40,000 for Building Leadership and Organizing in Our Neighborhoods to empower immigrants and low-wage workers in Santa Barbara County through organizing, leadership development, civic participation, and advocacy. Families ACT! – $25,000 for Beds Not Cells, a community organizing campaign led by individuals and families dealing with mental health and substance use disorders to improve mental health services in Santa Barbara County. Future Leaders of America – $40,000 for core support of programs that develop Latino youth activists in Oxnard and Santa Barbara to impact the community through civic engagement and transform the lives of youth and families. Just Communities Central Coast – $40,000 for core support to work with educators and community groups in Santa Barbara and Ventura Counties to close the achievement gap, improve social and academic outcomes for all students, and foster language justice. Lompoc Cooperative Development Project, Inc. – $15,000 for Outreach to the Community, which would grow the County’s co-ops, pursue new co-op opportunities, and engage in campaigns to remove barriers to co-op formation. Pacific Pride Foundation – $30,000 for LGBTQ Advocacy programs that train and support activists to change systems that perpetuate the oppression of LGBTQ residents of Santa Barbara County. Santa Barbara Bicycle Coalition – $30,000 for Connecting Our Community which will organize activists to bring safe bicycling infrastructure to the South Coast of Santa Barbara County. Westminster Free Clinic – $30,000 for SALUD (Students Advocating Life-Uplifting Decisions), a project to engage Latino youth in advocating for improved food environments for low-income residents in East Ventura County neighborhoods; and to advocate for improved academic opportunities at local schools. CAUSE – $3,500 for consulting support for technology upgrades. Just Communities Central Coast – $5,000 to support school personnel from Santa Maria to attend the Institute for Equity in Education. Mixteco/Indigena Community Organizing Project – $7,500 for coaching and training for organization staff and to support staff transition. The Abundant Table – $10,000 for Rooted Futures, Growing Change in Santa Paula, which engages and mobilizes high school students to advocate for systemic policy change for healthy meals in Santa Paula schools. California Public Interest Research Group Education Fund – $5,000 to train and develop student activists at UC Santa Barbara who will investigate problems, craft solutions, educate the public, and offer opportunities for civic participation. CAUSE – $35,000 for general operating support to build grassroots power to realize social, economic, and environmental justice in Ventura County. Coalition for Sustainable Transportation (COAST) – $20,000 for Eastside Walks, to organize residents of Santa Barbara’s Eastside to advocate for pedestrian safety and improved bus service; and for Safe Routes for Seniors, to advocate for improved pedestrian safety for senior citizens. Community Partners – $12,000 for Justice for My Sister Collective’s expansion to Oxnard with the Promotoras Storytelling Project, which will engage female survivors of sexual and domestic violence to speak out against violence. El Centrito Family Learning Centers – $30,000 for Padres Promotores de la Educación and Asociación de Padres, which cultivates community leaders who organize parents in Oxnard schools to achieve equitable access to educational opportunities. Food & Water Watch – $15,000 for two community organizers in Santa Barbara and Ventura Counties to mobilize residents and organizations concerned with fracking and similar oil and gas extraction practices. Guadalupe Kids Come First Foundation – $30,000 for THRIVE Parent Academy, a parent-supported and inspired education project focused on improving community health, leadership development, wellbeing, and personal education to transform the community of Guadalupe through civic and educational engagement. An additional grant of $5,850 was awarded to send a team of Guadalupe Union School District officials to the Institute for Equity in Education. La Hermandad Hank Lacayo Youth & Family Center – $25,000 for grassroots organizing and leadership training among working-class immigrants in Ventura County and Santa Maria to promote immigration reform and social justice for immigrants. Mixteco/Indigena Community Organizing Project – $35,000 to develop community leadership among indigenous Oaxacan farm workers, youth, and other immigrants who work to achieve just working and living conditions and improved educational opportunities. One Step A La Vez – $28,000 for youth committees in Fillmore and Piru working to expand the community’s voice for social change to address transportation systems, needs of LGBTQ youth, affordable housing, and to reduce school suspensions, expulsions, and youth incarceration. California Youth Connection – $20,000 for Creating Leaders from Within, to empower current and former foster youth who have firsthand knowledge of the child welfare system, to improve their circumstances, to improve policies and practices within the foster care system in Ventura County. CAUSE – $50,000 for Building Leadership and Organizing in Our Neighborhoods, to empower immigrants in Santa Barbara County through organizing, leadership development, civic participation, and advocacy. Centro Binacional Para el Desarollo Indígena Oaxaqueño – $12,500 for Indigenous Youth and Parents Working for a Better Future, a project led by indigenous youth in Santa Maria to inform and support fellow indigenous students and their parents about the educational system and improving academic achievement. Families ACT! – $20,000 for Beds Not Cells, a community organizing campaign led by individuals and families dealing with mental health and substance use disorders to improve mental health services in Santa Barbara County. Foundation of the Santa Barbara Regional Health Authority – $10,000 for the Santa Barbara County Promotores Project, to support promotores to build their capacity as leaders and organize around specific campaigns and become new voices in the community conversation to affect policy change. Future Leaders of America – – $40,000 for core support of programs that develop Latino youth activists in Oxnard, Santa Barbara, and Santa Paula to impact the community through civic engagement. Importa Santa Barbara – $9,900 for a leadership development program involving immigrants in Santa Barbara who would conduct outreach to fellow immigrants about immigration services and issues. Just Communities Central Coast – $50,000 for core support, with an emphasis on staff support for youth, parents, and educators in North Santa Barbara County and Ventura County who are mobilizing to close the achievement gap and improve academic outcomes for all students. Just Communities Central Coast – $12,570 for the purchase of interpretation equipment to be made available for community use by members of the Language Justice Network. Legal Aid Foundation of Santa Barbara County – $20,000 for the Advisor Group which engages homeless individuals and those who have experienced homelessness in advocacy for solutions and policy changes to end homelessness, and for the Peer Navigator Program, a street outreach program conducted by formerly homeless individuals. Lompoc Cooperative Development Project, Inc. – $15,000 for Steps to a Santa Barbara County Cooperative Ecosystem, which would grow the County’s co-ops, pursue new co-op opportunities, and engage in campaigns to remove barriers to co-op formation. Pacific Pride Foundation – $25,000 for LGBTQ Advocacy programs that train and support activists to engage in changing systems that perpetuate the oppression of LGBTQ residents of Santa Barbara County. 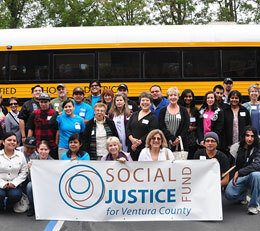 Ventura County Community Foundation – $20,000 for general operating support for the Social Justice Fund for Ventura County, which engages social justice leaders, donors, and grassroots groups in creating awareness and mobilizing resources for social justice issues. The Abundant Table – $11,210 for Rooted Futures, Growing Change in Santa Paula, which engages and mobilizes high school students to advocate for systemic policy change for healthy meals in the Santa Paula Unified School District. The ARC of Ventura County – $15,000 for People First of Ventura County, which engages persons with disabilities to be empowered to confront social inequities and implement systemic change. CAUSE – $40,000 for general operating support with an emphasis on creating electoral voting power in low-income, minority neighborhoods and developing a base of grassroots leaders who lead organizing and advocacy campaigns for social, economic, and environmental justice in Ventura County. Central Coast Future Leaders – $30,000 for youth leadership programs to empower youth in Santa Maria, Cuyama, and Guadalupe to become more active leaders in their homes, schools and communities. Coalition for Sustainable Transportation (COAST) – $22,500 for Walking & Transit Needs of Working Families, to organize residents of Santa Barbara to advocate for pedestrian safety and improved bus service. Community Action Commission – $30,000 for THRIVE Parent Academy, a parent-supported and inspired education project focused on improving community health, leadership development, wellbeing, and personal education to transform the community of Guadalupe through civic and educational engagement. El Centrito Family Learning Centers – $30,000 for Padres Promotores de la Educación and Asociación de Padres which cultivates community leaders who organize parents in Oxnard schools to achieve equitable access to educational opportunities. La Hermandad Hank Lacayo Youth & Family Center – $30,000 for grassroots organizing and leadership training among working-class immigrants in Ventura County and Santa Maria to promote immigration reform and social justice for immigrants. Just Communities Central Coast – $10,000 for capacity building to support the Language Justice Network. Los Padres Forest Watch – $10,000 for farmers, ranchers, and residents for clean water, to empower the residents and property owners of Fillmore, Santa Paula, and Piru to become more involved, broaden the base of support, and expand the diversity of voices calling for more responsible oil development in the Los Padres National Forest. Mixteco/Indigena Community Organizing Project – $36,000 to engage and mobilize indigenous Oaxacan farm workers and immigrants to achieve greater immigrant rights and more just labor practices in Ventura County. One Step A La Vez – $30,000 for youth committees in Fillmore and Piru working to expand the community’s voice for social change to address transportation needs, clean-up of a toxic Superfund site, and implement restorative justice practices for youth. Ventura Climate Care Options Organized Locally (VCCOOL) – $22,000 for the bicycle advocacy program to organize and empower a diverse network of cyclists to advocate for bicycle route improvements and safer conditions for cyclists in Ventura County. Ventura County Clergy & Laity United for Economic Justice – $24,000 for a coalition of faith organizations that provides trainings and leadership development for congregants, students, and immigrants to mobilize in support of affordable housing and just policies for immigrants. Westminster Free Clinic – $24,000 for SALUD (Students Advocating Life-Uplifting Decisions), a project to engage low-income youth to advocate for changes in the food options available at local corner markets and convenience stores in East Ventura County neighborhoods. The ARC of Ventura County – $10,000 for People First of Ventura County and Project R: Rethink, Reconsider, Respect, initiatives led by individuals with intellectual and developmental disabilities to advocate on their own behalf. California Center for Cooperative Development – $19,000 to the Lompoc Cooperative Development Project to develop worker cooperatives in Lompoc. California Youth Connection – $20,000for Creating Leaders from Within which provides leadership development, communications workshops, and civic engagement opportunities to current and former foster youth so they can improve policies and practices in Ventura County’s foster care system. Central Coast Alliance for a Sustainable Economy (CAUSE) – $40,000 for general operating support to build grassroots power to realize social, economic, and environmental justice for the people of Ventura and Santa Barbara Counties through policy research, leadership development, organizing and advocacy. Central Coast Future Leaders – $20,000 for youth and family leadership trainings to empower youth and families in Santa Maria, Cuyama, and Guadalupe to become more active leaders in their homes, schools and communities. Coalition for Sustainable Transportation (COAST) – $22,500 for Walking & Transit Needs of Working Families, to organize residents of Santa Barbara’s Eastside to advocate for pedestrian safety and improved bus service. Cuyama Valley Family Resource Center – $24,000 for Cuyama Planning for the Future, to build leadership and partnerships, especially among parents, youth, and other citizens who are emerging as the driving force in making decisions and developing creative responses to local needs. El Centrito Family Learning Centers – $25,000 for Padres Promotores de la Educación Project which trains, organizes, and empowers Oxnard parents to address educational inequities in their children’s schools and take leadership roles in the community. Just Communities Central Coast – $8,500 for the Parent Involvement through Dialogue and Action project to engage and mobilize parents in Fillmore, in partnership with One Step a La Vez. Mixteco/Indigena Community Organizing Project (MICOP) – $30,000 to develop community leadership among indigenous Oaxacan farm workers to identify problems faced by the Mixtec community and implement campaigns or programs to create systemic change in Ventura County. One Step A La Vez – $28,000 for youth committees in Fillmore and Piru working to expand the community’s voice for social change to address transportation needs, clean-up of a toxic Superfund site, and implement restorative justice practices in law enforcement and schools. Ventura County Clergy & Laity United for Economic Justice (VCCLUE) – $22,000 for a coalition of faith organizations that provides trainings and leadership development for congregants, students, and immigrants to mobilize in support of affordable housing and just policies for immigrants. 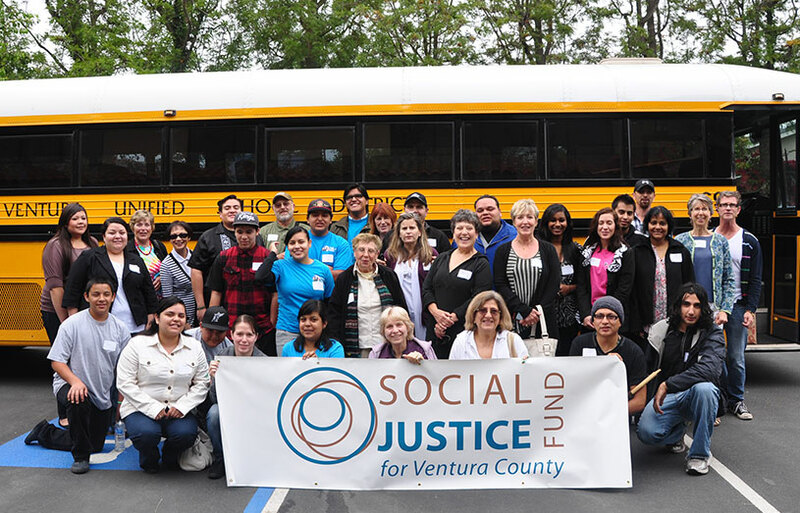 Ventura County Community Foundation – $20,000 for the Social Justice Fund for Ventura County which engages social justice leaders, donors, and grassroots groups in creating awareness and mobilizing resources for social justice issues. Westminster Free Clinic – $15,000 for Youth Advocacy for Better Food, a project to engage low-income youth to advocate for changes in the food options available at local corner markets and convenience stores in East Ventura County neighborhoods. Central Coast Alliance United for a Sustainable Economy (CAUSE) $50,000 for community organizers in Santa Maria, Guadalupe, and Santa Barbara to build grassroots power among working families. $20,000 for Naa Yutya Naa Va’a Xiini (Youth in Leadership), a program for indigenous youth in Santa Maria to support their higher education goals and develop their civil, leadership, and advocacy skills for social change. $15,000 for the Alliance for Sustainable & Equitable Regional Transportation (ASERT), a transportation coalition which advocates for improved public transit. Funding focused on expanding bilingual grassroots transit organizing through the Ventura County Bus Riders Union to organize bus riders. $10,000 for Empowering Underserved Seniors to train and engage seniors in issue campaigns. $24,000 for community organizing led by individuals and families dealing with mental health and substance use disorders to improve mental health services in Santa Barbara County. $20,000 for Community Leadership Training & Food Security Project, to build leadership among North Santa Barbara County residents to mobilize for increased food security and an equitable food system. $15,000 for Partnering to Improve the Lompoc Community & Create Social Change Together – an effort to train a network of promotores in Lompoc to identify and mobilize around community issues affecting the Latino community. Plus $1,000 for community organizing training. $25,000 to provide technical assistance services to nonprofit organizations in Santa Barbara County. $36,000 for general support for youth leadership training, youth activism in community campaigns, and alumni engagement in Oxnard and Santa Barbara. $40,000 for general operating support for the Educational Equity Initiative to work in schools and communities to create leaders who are equipped with knowledge and skills to promote educational equity and student success. $15,000 for the Common Ground Santa Barbara County Homeless Advocacy Project and Advisor Group to engage homeless individuals and those who have experienced homelessness in identifying solutions and policy changes to end homelessness. $17,500 for LGBT Advocacy Programs to support LGBT advocacy and leadership development work in Santa Barbara County. $17,500 for Parent Leadership courses to empower economically and socially disadvantaged parents to form parent advocacy groups around school issues in Santa Maria and Lompoc. $8,000 for Teaching FAIR, a collaborative of teachers, administrators, community members, and UCSB professors which will develop K-12 curriculum that is culturally relevant and meets the mandates of the FAIR ACT to teach about the contributions of various ethnic groups, persons with disabilities, and LGBT persons. $20,000 for Reclaiming Public Roadways for Bicyclists as a Tool for Public Engagement to organize and empower a diverse network of cyclists to advocate for bicycle route improvements and safer conditions for cyclists in Ventura County. $12,500 for capacity building for the Social Justice Fund for Ventura County, including constituency-building, development, and communications/marketing as the organization establishes itself as an independent nonprofit. $10,000 for "Project R: Rethink, Reconsider, Respect," a grassroots initiative led by individuals with intellectual and developmental disabilities to eliminate the words "retard" or "retarded" from everyday vocabulary in Ventura schools. $25,000 for Lompoc Cooperative Development Project to develop worker cooperatives to promote economic development in Lompoc. $25,000 for the development of Latino youth and families through leadership, education, service to community, activism, and personal development in Santa Maria, Guadalupe, Cuyama, and Lompoc. $20,000 to organize residents of Santa Barbara's Eastside to advocate for pedestrian safety and public transportation. $25,000 for Cuyama in Action to grow Cuyama Valley's culture of active civic engagement across ethnicity, socio-economic class and generations, and to support residents in taking the lead in defining and pursuing civic projects. $23,000 for the Family Engagement Network, a new partnership between Just Communities, Future Leaders of America, the Parent Project, and United Parents-Padres Unidos to support the development of parent leaders to lead school advocacy efforts. $30,000 for grassroots organizing and leadership training among working-class immigrants in Ventura County to promote immigration reform and social justice for immigrants. $35,000 to develop community leadership among indigenous Oaxacan farm workers in Ventura County. $25,000 for youth committees in Fillmore and Piru working to expand the community's voice for social change to address transportation needs, clean-up of a toxic Superfund site, and restorative justice practices in law enforcement. $15,000 for the Leadership Development Process, a partnership between Palabra, Just Communities, and Future Leaders of America to empower youth at risk for gang involvement and their parents with the knowledge, skills, and support to address gang-related problems in their lives and neighborhoods. $20,000 for Dreamers Without Borders, a student movement led by college students and recent graduates to end the isolation of undocumented youth by educating and mobilizing them to improve access to opportunities. $10,000 for the Homeless Family Project at Lincoln School to build social capital and pursue productive social changes by involving homeless parents and children in identifying and eliminating the causes of family homelessness. $10,000 for the Excellence In Education Partnership to develop the capacity of parents in Santa Barbara and Goleta to advocate for more equitable public education for students of color. $40,000 for general operating support with an emphasis on creating electoral voting power in low-income, minority neighborhoods and regional issue organizing toward the development of a network of progressive allied community, labor, faith and environmental organizations. $25,000 for the Padres Promotores Education Project which trains, organizes, and empowers Oxnard parents to address educational inequities in their children's schools and take leadership roles on school committees. $25,000 for the Social Justice Fund to conduct community outreach to engage residents as supporters, advocates, and leaders in the social justice movement. $10,000 for a capacity building speaker series to be presented in Santa Maria. $7,500 for the Social-Political Equity Initiative to create a unified effort among African Americans to address education, health, political, economic, and social issues, while expanding indigenous leadership in social justice and policy reform work. An additional $2,000 awarded for community organizing training. $25,000 for the Alliance for Sustainable & Equitable Regional Transportation (ASERT), a transportation coalition which advocates for improved public transit. Funding focused on Ventura County Bus Riders Union to organize bus riders. $20,000 for the Restorative Justice Partnership Initiative, which promotes and offers Restorative Justice responses to youth crime. $30,000 for community organizing led by individuals and families dealing with mental health and substance use disorders to improve mental health services in Santa Barbara County. $20,000 for Community Leadership & Food Security Project, to build leadership among North Santa Barbara County residents to mobilize for increased food security and an equitable food system. $45,000 for program funding for organizing youth activists in Santa Barbara and Ventura Counties to impact the community through civic engagement. $7,500 for Consumer Advocacy Coalition, a group of individuals with mental illness working to reform the delivery of mental health services and improve funding for such services in Santa Barbara County. $10,000 for the Santa Barbara South Coast Homeless Coalition to engage homeless individuals and those who have experienced homelessness in identifying solutions and policy changes to end homelessness, and to train these individuals to assume leadership roles in the coalition. $10,000 for the Santa Barbara Equality Project to promote local activism in support of equal rights and a safer community for LGBT residents in Santa Barbara County. $50,000 for general support, including neighborhood-based organizing and leadership development among low-income residents of Santa Barbara County to work for immigrant rights, fair housing practices, and civic engagement. $15,000 to develop a more diverse group of bicycle advocacy leaders to implement campaigns to improve safety for bicyclists in Santa Barbara and Goleta. $16,643 for Growing Ventura Bicycle Union to organize and empower a diverse network of cyclists to advocate for bicycle route improvements and safer conditions for cyclists in the City of Ventura. $15,000 for a Strategic Communications Capacity Building Project to provide communications trainings, cultural and linguistically appropriate messaging, database management, and strategic use of social networking and other technology for CAUSE and partner organizations. $50,000 for general operating support for youth and family organizing efforts in Santa Barbara and Ventura Counties through the CommUnity Leadership Institute (CLI), CLI CAN DO program, and the Family Dialogue Program. $5,000 for a series of capacity building workshops for Santa Barbara & Ventura Counties. $20,000 for One Step A La Vez, a youth committee in Fillmore and Piru working to expand the community's voice for social change to address transportation needs and monitor clean-up of a Superfund site. $45,000 (Year 1) and $40,000 (Year 2) for general operating support with an emphasis on creating electoral voting power in low-income, minority neighborhoods and regional issue organizing toward the development of the Central Coast Organizing Network, a network of progressive allied community, labor, faith and environmental organizations. $20,000 for a Spanish-speaking organizer and a project director to organize residents of Santa Barbara's Eastside to advocate for pedestrian safety and better transit service. $20,000 for Cuyama Voices: A Rural Civic Forum on Family Advocacy and Access, to grow Cuyama Valley's culture of active civic engagement across ethnicity, socio-economic class and generations, and to support residents in taking the lead in defining and pursuing civic projects. $30,000 (Year 1) and $25,000 (Year 2) for Padres Promotores Education Project which trains, organizes, and empowers Oxnard parents to address educational inequities in their children's schools and take leadership roles on school committees. $45,000 of second-year funding for general operating support for community organizing work among indigenous Oaxacan farm workers in Ventura County. $10,000 for One Voice, One Power, One Community, a project to engage families, youth, and community groups in advocating for modifications to a pending gang injunction in the City of Santa Barbara. $20,000 for operational and program support for community organizing work around social justice and environmental issues including land use planning, transportation, and affordable housing. $35,000 for the Family Leadership Development Process, a partnership with PUEBLO and Future Leaders of America to develop parent leaders involved with the THRIVE Santa Maria and THRIVE Guadalupe educational projects. $17,000 for Familias Unidas Buscando Esperanza, which organizes youth and parents to develop a comprehensive strategy to address youth violence in Santa Maria. $40,000 of second-year funding for a coalition of faith organizations advocating for immigration reform, farm worker housing, access to health care, and economic justice. $25,000/yr. for two years for general operating support for the Social Justice Fund to conduct community outreach to engage residents as supporters, advocates, and leaders in the social justice movement. $7,500 for the Homeless Family Liaison program to develop the capacity of homeless parents at Ventura's Lincoln School to become involved in their school community and the broader community. Central Coast Alliance United for a Sustainable Economy (CAUSE). $20,000 for Year 1 and $15,000 for Year 2 for a Strategic Communications Capacity Building Project to provide communications trainings, cultural and linguistically appropriate messaging, database management, and strategic use of social networking and other technology for CAUSE and partner organizations. $26,774 for two bilingual organizers for the Alliance for Sustainable and Equitable Regional Transportation (ASERT), a regional transportation alliance created to advocate for public transportation and mobilize transit users in Santa Barbara and Ventura Counties. $32,670 for the Restorative Justice Partnership Initiative, which promotes and offers Restorative Justice responses to youth crime in Santa Maria. $25,000 for community organizing work to achieve changes in the mental health & criminal justice systems in Santa Barbara County. $25,000 for Community Organizing to Promote Food Security in North Santa Barbara County, which will mobilize low-income residents to advocate for changes to increase access to healthy foods. $50,000 for general operating support for organizing youth activists in Santa Barbara and Ventura Counties to impact the community through civic engagement. $50,000/yr. for two years in general operating support for youth and family organizing efforts in Santa Barbara and Ventura Counties through the CommUnity Leadership Institute (CLI), CLI CAN DO program, and the Family Dialogue Program. $12,500 for Santa Barbara Equality Project, an effort to motivate and promote local activism in support of marriage equality and civil rights for the gay community on the Central Coast. $50,000 for operating support for the multi-issue grassroots membership organization mobilizing low-income residents of Santa Barbara County to work for social and economic justice, including education reform, immigrant rights, and fair housing campaigns. $25,000 to organize, mobilize, and sustain a diverse network of cyclists to advocate for bicycle route improvements and transform Ventura into a bicycle-commuter friendly city. $7,500 for the Parent Education Advocacy Group to develop the capacity of parents to advocate for changes in how children are treated and educated in the Santa Barbara public schools. $10,000 for computer and financial trainings for Mixtec staff and volunteers. Big Brothers Big Sisters of Ventura County Inc.
$20,000 for an organizer for One Step A La Vez, a youth committee to expand the voice for social change in Fillmore and Piru through grassroots activism, leadership and community organizing. $50,000 of second-year funding for general operating support for social, economic and environmental justice programs focused on creating grassroots power, policy reform and systemic change in Ventura and Santa Barbara Counties. $30,000 to support youth based community organizing including the Paint Not Prison program, Youth Councils in Oxnard, and Youth Center rent. $40,000/yr. for two years for a coalition of faith organizations advocating for immigrant rights, farm worker housing, access to health care, and economic justice. $20,000 for staff and a Spanish-speaking organizer to mobilize residents of Santa Barbara's Eastside to advocate for pedestrian safety and better transit service. $35,000 for Padres Promotores Education Project which trains, organizes, and empowers Oxnard parents to address educational inequities in their children's schools and take leadership roles in school committees. Funds to also support organizational capacity building. 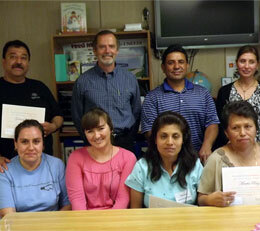 $15,000 general operating support and $7,500 technical assistance for the Latino community center in Santa Barbara. $20,000 for grassroots organizing and leadership training among working-class immigrants in Ventura County to promote social justice for immigrants, and $10,000 for capacity building. $45,000/yr. for two years for general operating support for community organizing work among indigenous Oaxacan farm workers in Ventura County. $15,000 for a tenant organizer for a coalition of community groups involved in the Justice for Renters campaign which organizes renters in Santa Barbara County to advocate for renter rights, protect availability of rental units, and promote cooperative ownership. $25,000 to support community organizing for social justice and environmental issues, including the Lompoc Livable Community & Civic Engagement Program and ongoing advocacy in Santa Maria. 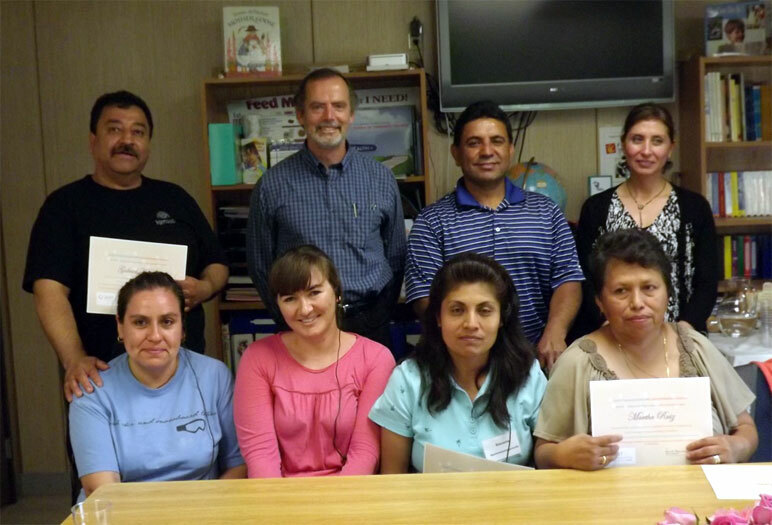 $15,000 for planning and training costs to empower an association of Mexican immigrant farmers in Santa Maria. $25,000 of second-year funding for capacity building, including an endowment drive for the Social Justice Fund and educational outreach to grassroots groups and donors. $10,500 for community organizing training for members of the Oxnard Community Peace Project which seeks to build the skills of parents and residents to be effective leaders in improving safety in Oxnard schools and neighborhoods. $15,000 for the Restorative Justice Partnership Initiative, which engages a community coalition of young people, parents, and neighborhood leaders in promoting Restorative Justice responses to youth crime in Santa Maria. $15,000 for Cuyama Organizing for a Voice, a community organizing initiative to build a diverse coalition of residents to define and articulate the family resource needs in the remote agricultural community in Northern Santa Barbara County. $15,120 for a community organizing campaign to give voice to Santa Barbara families that seek changes in the mental health and criminal justice systems to better serve their family members suffering from mental illness and substance use. $30,000 of second-year funding for operating expenses and the Youth of California Making Change program to develop 100 youth activists in Santa Barbara and Ventura Counties to impact the community through civic engagement. $50,000 for Just Communities to support the development of a growing network of youth activists addressing critical community issues and dismantling oppression through youth-led action and youth-adult collaboration in Santa Barbara and Ventura Counties. $25,000 of second-year funding for Mixtecacion: Mixteco Translation and Resource Empowerment Project, which enables indigenous leaders and volunteers to offer support and translation services for Mixteco families and helps organize the community to improve health care and human services for farmworkers and their families. $40,000 for the Ventura County Campesina Policy Institute to train farmworker women to lead campaigns for social justice. $12,500 for Strategic Alliance for Marriage Equality, a project to motivate and promote local activism among the gay community and allies on the Central Coast of California. $50,000 for operating support for the multi-issue grassroots membership organization mobilizing low-income residents of Santa Barbara County to work for social and economic justice. $22,000 for Lift Up Your Voice, an effort to build a coalition of leaders from faith communities, the homeless community, and other Ventura residents to decriminalize homelessness and seek resources to end homelessness in the City of Ventura. $14,000 for Santa Maria Future Search Youth & Parent Organizing Project to build the capacity of parents and youth to actively engage in addressing the causes of youth violence in Santa Maria. $15,000 for the Marilyn Gittell Youth Organizing & Activism Institute to be organized by Just Communities. $4,250 for three trainings to develop the advocacy capacity of homeless individuals and community allies. $47,196 for One Step A La Vez, a youth committee to expand the voice for social change in Fillmore and Piru through grassroots activism, leadership and community organizing. $50,000/yr. for two years for general operating support for social, economic and environmental justice programs focused on creating grassroots power, policy reform and systemic change in Ventura and Santa Barbara Counties. $30,000 to support operating expenses and capacity building for youth based community organizing through the arts. $50,000 in program support for a coalition of faith organizations advocating for immigration reform, farm worker housing, access to health care, and economic justice. $25,000 for Naa Xini 2 to enhance the Mixteco community’s capacity to design and implement advocacy campaigns to solve social problems that affect Mixtecos and Latinos in Santa Maria. $40,000 for Alliance for Sustainable and Equitable Regional Transportation (ASERT) to provide operating support for a regional transportation alliance to promote public transportation and organize public activism among a diverse constituency of transit users. $30,000 for Padres Promotores Education Project which engages, trains, organizes and empowers Oxnard parents to advocate for higher education of their children. $25,000 to empower youth and families most affected by youth violence to advocate for a community-driven solution to youth violence prevention and to become actively engaged with local organizations and policymakers. $25,000 for operating expenses for grassroots organizing and organizational leadership activities among working-class immigrants in Ventura County. $11,000 for organizing local mobile home residents and strengthening networks with statewide mobile home associations to protect homes from condo conversions and rent decontrol. $25,000/yr. for two years for capacity building, including an endowment drive for the Social Justice Fund and educational outreach to grassroots groups and donors. $15,000 for capacity building through hiring of a part-time development director to secure new donors and new board members. $35,000 for operating expenses, including staffing, to support community organizing work among indigenous Oaxacan farm workers in Ventura County. $35,000 for operating and program expenses to support community organizing around social justice and environmental issues throughout Santa Barbara County. $25,000/yr. for two years for Mixtecacion: Mixteco Translation and Resource Empowerment Project, which will include a centralized office where Mixteco families can obtain help from indigenous leaders and volunteers and for a translator/organizer to provide translation services and organize the community to improve health care and human services for farmworkers and their families. $15,000 for the Restorative Justice Partnership Initiative, which would engage a community coalition of young people, parents, and neighborhood leaders in promoting Restorative Justice responses to youth crime in Santa Maria. $10,000 for a community organizing campaign to give voice to Santa Barbara families that seek changes in the mental health and criminal justice systems to better serve their family members suffering from mental illness and substance use. $30,000/yr. for two years for operating expenses and the Youth of California Making Change program to develop 100 youth activists in Santa Barbara and Ventura Counties to impact the community through civic engagement. $12,500 for Strategic Alliance for Marriage Equality, a project to motivate and promote local activism in support of marriage equality and civil rights for the gay community at the local, state, and national level. $20,000 for engaging bicycle commuters, including cyclists at Bici Centro, a collectively run, non-profit bike shop, in outreach efforts around cycling issues. $19,537 for Yes in Our Backyard, an effort to build a coalition of leaders from faith communities, the homeless community and other Ventura residents to decriminalize homelessness and seek resources to end homelessness in the City of Ventura. $50,000 for general operating support for development of the Youth Organizers program and expansion of alumni and family networks. $15,000 for the Nonprofit Advocacy Project to provide advocacy trainings, technical assistance, and other resources to organizations in Santa Barbara and Ventura Counties. $10,000 for Board and staff development training. $36,000 for One Step A La Vez, a youth committee to expand the voice for social change in Fillmore and Piru through grassroots activism, leadership and community organizing. $20,000 for Arts for Action to support operating expenses, program costs, and salary for a community organizer and program coordinator. $15,000/yr. for two years for capacity building through hiring of a part-time development director to secure new donors and new board members. $30,000 for Alliance for Sustainable and Equitable Regional Transportation (ASERT) to provide operating support for a regional transportation alliance to promote public transportation and organize public activism among a diverse constituency of transit users. $46,000 for operating expenses for grassroots organizing and organizational leadership activities among working-class immigrants in Ventura County. $35,000/yr. for two years for operating expenses, including staffing, to support community organizing work among indigenous Oaxacan farm workers in Ventura County. $35,000/yr. for two years for operating and program expenses to support community organizing around social justice and environmental issues throughout Santa Barbara County. $15,000/yr. for two years for Clergy and Laity United for Economic Justice (CLUE), Santa Barbara, to fund operating support of a grassroots interfaith association working to build partnerships to expand its scope in responding to issues of economic justice. $25,000 for capacity building for the Social Justice Fund for Ventura County, including an endowment drive for the Social Justice Fund and educational outreach to grassroots groups and donors. $50,000 for general operating support for economic and social justice programs, with emphasis on development of a regional power organization of allied community, labor, faith and environmental organizations. The Foundation for Educational & Employment Resources Development, Inc.
(FEERD/Café on A) - Community Café Organizing for Empowerment and Equity (CORE) $30,000 for expanded grassroots organizing efforts for community action and civic engagement by neighborhood groups in the Oxnard area. $25,000 to promote the civic participation and empowerment of the Oaxacan community in Santa Maria and create a sustainable group of leaders. $2,000 for hosting workshops of the Conejo Valley Affordable Housing Work Group, a coalition of Ventura County organizations working on implementing the 10-Year Strategy to End Homelessness. $50,000 per year for two years for general operating support for development of the Youth Organizers program and expansion of alumni and family networks. $16,000 in operating support to build the organizational capacity of the collectively-run nonprofit bike shop for low-income community members. $25,000 for operating support and for a recycling program to sustain the self-governed community of homeless individuals. $30,000 per year for two years for expanded grassroots interfaith organizing, policy advocacy, and organizational development. $30,000 per year for two years to support long-term sustainability and expand community outreach while involving youth in community service projects. $18,000 operating expenses and $2,000 for community organizing training to create foundation for long-term stability for youth-led organization using cultural arts to engage youth in community organizing around social and economic issues. $35,000 for operational and program support for community organizing around social justice and environmental issues throughout Santa Barbara County. $50,000 per year for two years for general operating support for economic and social justice programs, with emphasis on development of regional power organization of allied community, labor, faith and environmental organizations. $30,000 per year for two years for expanded grassroots organizing efforts for community action and civic engagement by neighborhood groups in the Oxnard area. $50,000 operating funds for formation and maintenance of a regional sustainable transportation alliance to promote public transportation, in the context of strengthening social equity and social capital. $30,000 general operating expenses for continuing the workshops and publication of the primarily youth-led project which focuses on issues of social justice. $25,000 per year for two years to promote the civic participation and empowerment of the Oaxacan community in Santa Maria and create a sustainable group of leaders. $20,000 for advocacy efforts of alliance which focuses on education, advocacy and community organizing in Santa Barbara’s immigrant communities. $10,000 for operating support of grassroots interfaith association working to build partnerships to expand its scope and impact in the fight for economic justice. $30,000 operating expenses for grassroots nonprofit organization working to develop the collective voice of Oaxacan (Mixtec) farm workers in Ventura County. $30,000 in support of grassroots organizing efforts of immigrant working-class community, including training of community advocates. $30,000 for operating costs for formation of neighborhood coalitions in 3 low-income communities to create and implement action plans addressing issues affecting residents. $35,000 to support expansion of youth organizing to address social justice and equity issues in schools and communities. $25,000 operating funds for self-governed community for homeless individuals. $30,000/yr. for 2 years for expanded grassroots interfaith organizing, policy advocacy and organizational development. $18,000 operating expenses for continued development of Latino parent organization at only school in rural North Santa Barbara County community. $30,000 for continued support of regional grassroots labor and community organizing project. $25,000 for first 18-months’ operating costs of new fund following successful pilot project. $10,000 for staff to organize rural communities to advocate for protection of resources in the Los Padres Forest. $60,000 over 2 years to support long-term sustainability and expand community outreach while involving youth in community service projects. $35,000/yr. for 2 years general support, particularly for expansion of neighborhood committees, voter mobilization, issue campaigns, etc. in North S.B. County. $30,000/year for two years for operating costs for formation of neighborhood coalitions in 3 low-income communities to create and implement action plans addressing issues affecting residents. $35,000/year for two years to support expansion of youth organizing to address social justice and equity issues in schools and communities. $28,870 operating support for only locally-produced public issues call-in talk show focusing on regional social and political issues. $35,121 to support staff and program of progressive network bringing together groups of activists and volunteers to focus on public policy issues and work for change in North County. $30,000 for leadership development, grassroots organizing and organizational development activities associated with the work of the women’s organizing center. $25,000 operating support for development of community garden and continuation of two programs created by youth-led collective. $35,000 to support peer-based bi-lingual (Spanish and an indigenous language) Train the Trainer outreach program about pesticide-related risks to farmworkers. $25,000 to continue organizing of local workers to participate in the public process of creating solutions to the housing crisis on the South Coast. $30,000 to continue program designed to build community capacity through the programs and operation of Café on A as a community organizing center in Oxnard. $12,000 for operating and program support for Coalition for a Fair Measure D’s voter education project. $30,000 operating support for second year of self-governed, intentional, tent community for up to 30 homeless persons. $35,000/year for 2 years general support, particularly for expansion of neighborhood committees, voter mobilization, issue campaigns, etc. in North S.B. County. $23,693 for staff support for grassroots organization of Spanish-speaking parents of students at Santa Ynez Valley Union High School. $18,000 operating support for parent organization for Spanish-speaking parents of students in the Los Alamos School District. $30,000 for organizer/coordinator for alliance of community, labor and interfaith year-round non-partisan voter engagement effort and other alliance building activities. $7,000 to underwrite costs of “A Changing Economy,” first in annual series of leadership conferences for women in Ventura County, organized by a collaborative of women’s organizations. $17,500 for staff to begin linking social action committees of member congregations and build partnerships with unions and community organizations to advocate for social and economic justice. $25,000 to provide free technical assistance in social marketing to other grassroots organizations. $30,000/year for 2 years to build community capacity through the programs and operation of Café on A as a community organizing center. $25,000 to build a broader progressive community coalition and create momentum for the fund, based on the findings of the feasibility study conducted last year. $25,000 for continued capacity building and coordination support for the North and South County citizens committees. $34,000 to continue and expand CommUnity Leadership Institute Change Agent Network for Dismantling Oppression (CLI CAN DO!) program involving young people in addressing social justice and equity issues. $30,000 operating support for Community Building and Neighborhood Revitalization projects developed by residents of CEDC housing sites. $25,000 operating grant for youth-led, youth-focused collective that uses the arts to inspire youth activism and positive social change. $30,000 to support grassroots interfaith organizing, policy advocacy and organizational development. $25,700 to support live community forums for broadcast on public radio in order to initiate dialogues on important community issues.